Beskar Might: From top to bottom the entire spear is made of refined Mandalorian Iron from the asteroids of Echoy’la. The spear is near indestructible to lightsabers, and capable of delivering powerful blows to hostiles. Vibro-energy blade: Inspired by some melee weapons in today’s Galaxy, Munin engineers designed the spear to be able to leave gaping wounds in the flesh of foes with even the slightest touch and being able to rip apart metals such as durasteel with the ultrasonic vibration generator. Plasma filaments are also used around the edge of the spear’s blade; this makes the weapon able to parry off lightsaber attacks and “act” like a lightsaber. EMP/Ion weakness: The spear has some defences against ion attacks, though limited. When enough damage has been done the spear’s ultrasonic vibration generator and the plasma filaments will cease to function. That isn’t to say that the spear is completely useless, just won’t operate as its true potential. 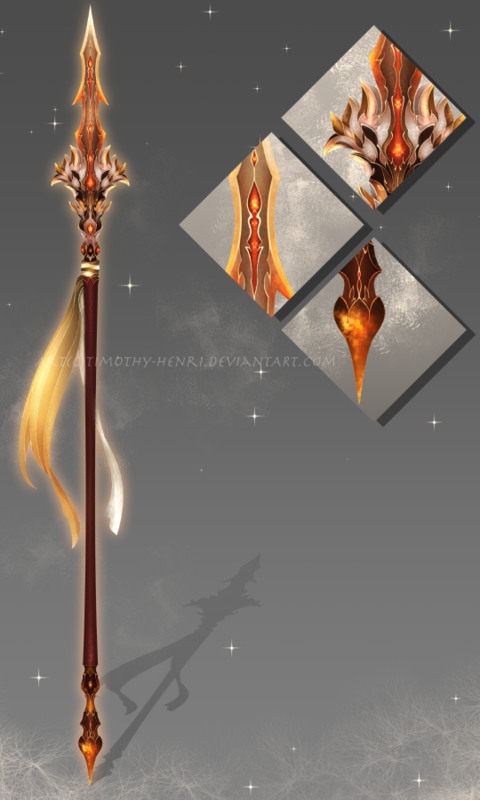 Heavy: Because of the spear crafted out of beskar it is heavy and can cause fatigue to the wilder when used for extended periods of time in battle. Battery cells: Continue use of the spear’s plasma and vibration functions will drain the batteries. It is advised to use in strategic moments of battle as it can last up to one hour. When drained it will take time to replace the old batteries with newer ones. Cortosis: Since the plasma filaments are quite similar to lightsabers, if an object made of cortosis comes in contact with the plasma, it will shorten out the plasma like any lightsaber. The Mandalorians and the Thyrsians have clashed blades in the past, yet the Alor of Clan Munin is not bothered by these actions. Holding no ill will towards the Thyrsians, the warrior established a mutual relationship between his clan and the Sun Guards. After some time in this agreement, the Warlord commissioned a weapon for a fellow acquaintance of his. Forged from pure beskar that was mined from an asteroid in the Echoy’la system, the spear was then engineered with electronics and other features that made it more than a primitive spear. The spear has a mechanism that can shorten or lengthen the pole’s size by pressing a button. This function can give an advantage to the wielder if applying it properly. Two important features on this weapon are the ultrasonic vibration properties and the plasma filaments. There are two locations for the vibration fields: the blade of the spear itself and the bottom-tip. The difference, however, is that the tip acts akin to a Force Pike which allows the wielder to stun enemies or deliver painful tortures. 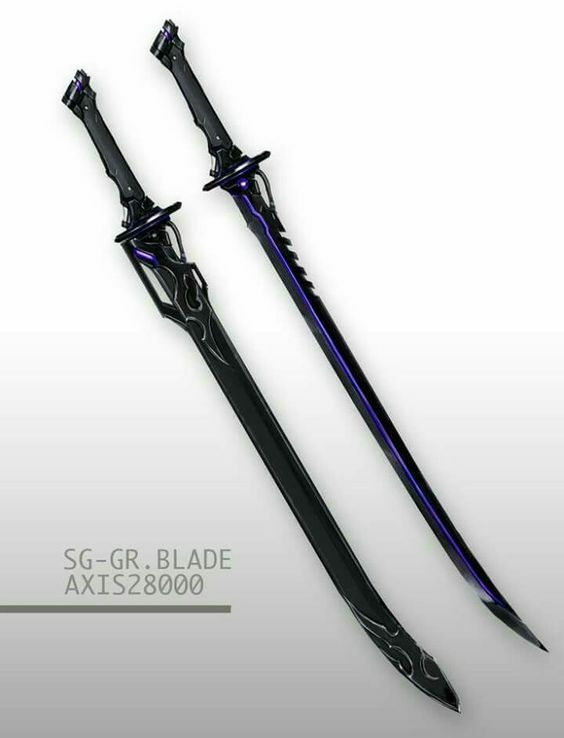 The blade itself acts like any vibroblade and is able to cut through metals such as durasteel and cause gaping wounds in opponents. An electromagnetic field encompasses the blade of the spear which allows plasma filaments to run across it. This allows the user to parry lightsaber attacks and cause similar damage when in contact with an object. This fine and remarkable weapon was then passed on to Khonsu Amon as a token of good faith between the Mandalorians of Clan Munin and the Golden Company. Mando Tough: With Beskar plates and the augmentations applied to the armor, its excellent quality against most kinds of attacks. Shields Up: Personal shields are applied, being able to further protect the user from kinetic and energy/plasma attacks. Electronics: Electronics are a must for armor these days, making the armor more than just metal or ceramic plates. The complex electronics is connected with the various systems of the armor such as the integrated weapons, HUD, and many more. With enough EMP/ion damage, it will render the electronics useless. Plate coverage: The style of the armor is Mandalorian Shock trooper. Meaning, the plates don't the entire body for the sake of mobility. The armorweave is responsible for protecting the user in areas not covered by the plates; however, it will not offer great resilience when compared to the armored plates. Armorweave-Bodyglove: The armorweave-bodyglove is a massive conductor. If the user gets hit with any electrical attack (Force lightning, electric judgement, etc. ), they will suffer twice the damage and inflicted burns. 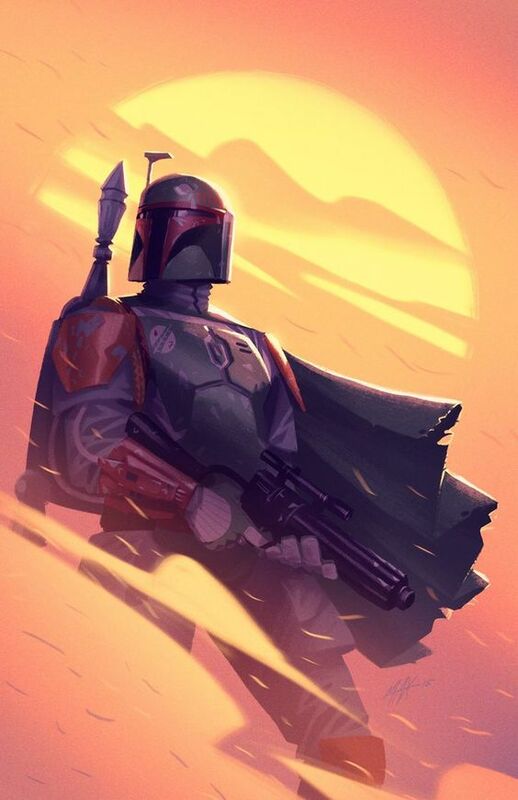 As an offer to the infamous Mandalorian Bounty Hunter, Koda Fett, Vilaz and several of his smiths went to work to design and construct an armor for the Bounty Hunter to upgrade him from his current one. Fett was, too, involved in the process, as he communicated with Vilaz on what exactly he wanted. With the materials acquired from House Vizsla and an idea agreed on, they moved on to the next phase. Engineers and smiths worked together in an efficient manner, building beskar-ciridium plates from the forges and integrating different pieces of hardware and software to the armor. As the engineers and smiths of Clan Munin do their own armor for their fellow clansmen, this was not at all difficult to tailor for Koda. Thus it was done in a very timed manner for the Bounty Hunter, who approved of it after testing it out himself. Perfect and versatile for a warrior and a Bounty Hunter. Carlac was once an outpost of Deathwatch during the times of the Clone Wars, and it would be abandoned sometime later by the authority of Pre Vizsla. It wouldn't see Mandalorian presence for a good time since then, and its native inhabitants were thankful for it. They were pillaged and attacked by Vizsla's Deathwatch, their towns burned to ashes and their bodies dropped in the snow. Unfortunately, their peace wouldn't be forever as Clan Munin came. They were weak, and the strong would conquer them. They were driven out from their homes, slaughtered without remorse as Vilaz and his aliit claimed Carlac as their own, spreading their domain and influence. Their arrival was recent, but they were fortifying themselves and establishing sites to harvest resources for themselves, and it was bountiful. As work was being done, Vilaz awaited in some chambers expecting company outside of his Clan. A fellow by the name of Rook interested him, earning himself an invitation to speak with the Warlord in person. Wasn't everyday the Concordian organized meetings as they were a waste of time, and time at his age was precious and not something to waste. Te Veman was growing. It appeased Vilaz, but his satisfaction wasn't fulfilled. It would be, but that moment would come with Mandalore reclaimed and the Infernal dead with her regime. That fact alone annoyed Vilaz, and it was a great motivator to get things done in a quick fashion. Warriors of other clans, or newly converted recruits that weren't Mandalorian, joined their cause, pledging their swords to the ideals of the insurgents. Raids were being conducted, plundering loot of different currency: medical supplies, credits, munitions, anything that could help was stolen. Again, things were going well but they lacked something. They had no central authority, or enforcers to make things efficient and stable. Politics and order were hated things by the Mandalorians, but the truth was that some of it revolved around their lives. Without some sense of laws, there would be anarchy. Chaos would seep through, destroying everything they had built. Of course, Mandalorian laws weren't tightly regulated as they set in the stone appropriate laws they could abide with. Laws that prevented murder and other vices that could compromise someone and others. Necessity laws, not ones that were over zealous such as "civilized" governments. And so Vilaz walked about a Mandalorian Temple they set up base on, finding Koda and give him some words of advice. He too heard that Fett declined the position of Sole Ruler, but the people talked about it and they wanted it.